Students and teachers alike were delighted to welcome Audrey Vernick as the 14th annual Elizabeth Anne Worsham Visiting Author to campus today. In her presentation, she gave students a sneak peek of her upcoming book available in September! Ms. Vernick shared she didn't decide to pursue writing as a career until college. Now, Ms. Vernick is a highly acclaimed and award-winning author of more than 20 books for younger readers, including Is Your Buffalo Ready for Kindergarten?, I Won a What/ and Take Your Octopus to School Day. She is the co-author of two books for middle-school readers: Two Naomis and Naomis Too, and has published over a dozen short stories for adults. She received a 2019 Fellowship from the New Jersey State Council on the Arts. ESD librarians began sharing Ms. Vernick's works with students and classes following spring break. 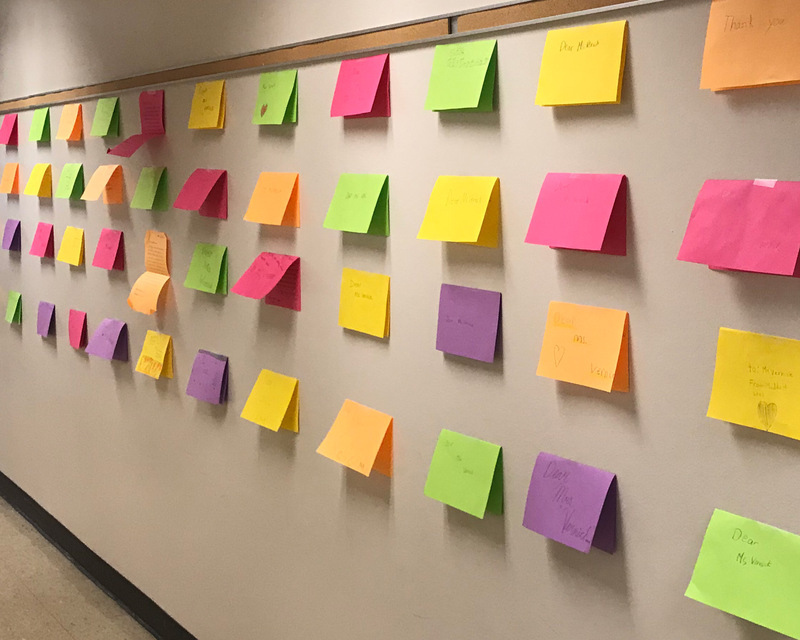 The students were so excited about Ms. Vernick's visit, they crafted thank you notes in advance and placed them in a hallway. 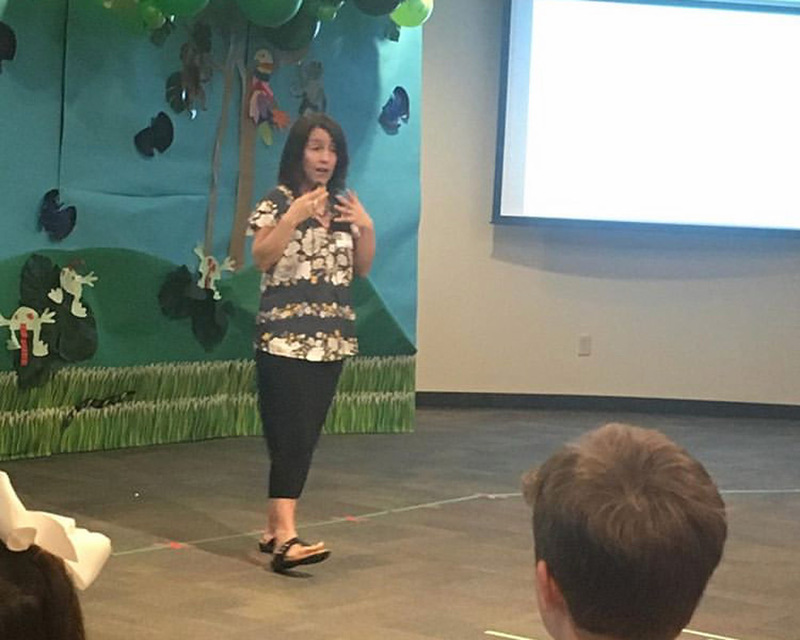 "We are grateful to have had Audrey Vernick on campus today, sharing her stories and her process," said Tracey Shirey, Head of Lower School. "She inspired us all as readers and writers." Many thanks to the Elizabeth Anne Worsham Endowed Visiting Author Fund for this incredible opportunity to learn from Audrey Vernick. The Elizabeth Anne Worsham Endowed Visiting Author Fund was created in 2004 by Mr. and Mrs. Joseph I. Worsham II, friends, and family in memory of Elizabeth Anne Worsham '13. The annual Visiting Author Program encourages and supports a love of reading in children, so that they may carry that gift with them into adulthood.